By definition, explorers face the unknown: that’s their motivation and their source of drive and energy. It’s because André Borschberg pushed the limits and defied conventions - Solar Impulse 2, weighs the same as a car and has the wingspan of a Boeing 747! 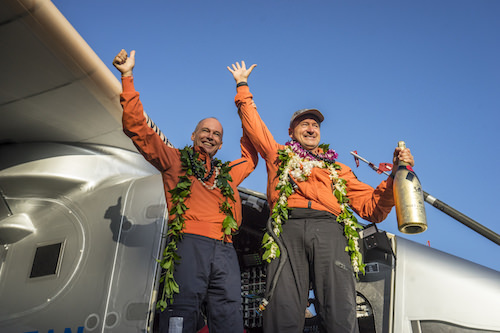 - that he was able to break 10 years of records and achieve the five-day, single pilot, non-stop flight, across the Pacific Ocean from Nagoya, Japan to Hawaii. 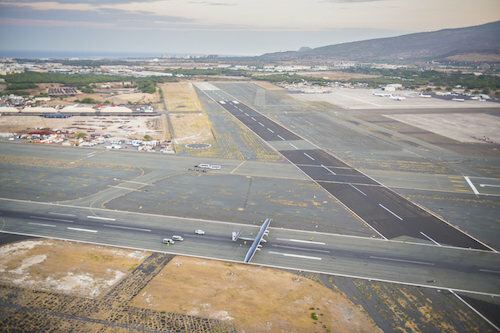 After an unplanned landing in Nagoya and several weeks of waiting for the right weather window, André Borschberg is finally cleared for takeoff by the Mission Control Center in Monaco. A sensational moment for the whole team! As an explorer, André knew that the unknown would include risks and having to take critical decisions which would make the difference between success and failure. 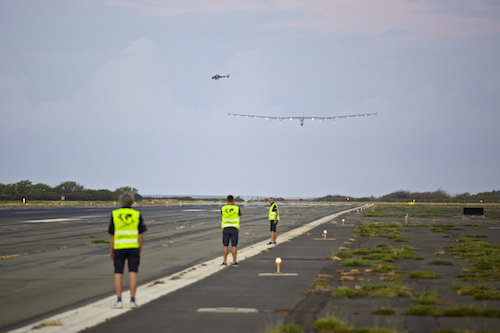 “A few hours following the takeoff from Nagoya airport with Solar Impulse 2, I detected a failure in the system supervising the airplane while I rest. With a flight lasting at least 5 days and nights, and my being alone in the cockpit, this system was of crucial importance. When reaching the point of no return, as the system was still not functioning properly, all my engineers told me to return to Japan to fix the problem. But it was the first time that the weather over the Pacific was extremely favorable after 2 months of waiting and delaying our departure. So I looked at the question differently and found that the overall mission risk was reasonable, that I would find ways to compensate for the failed equipment. 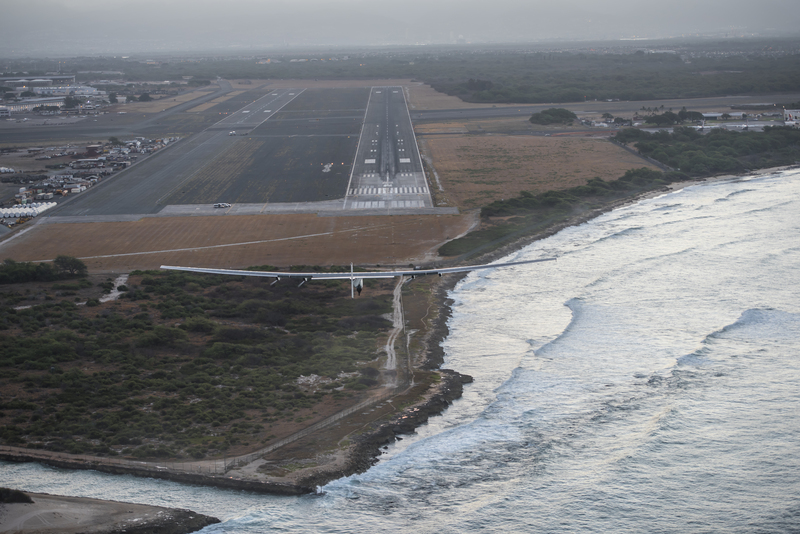 André Borschberg is now 37% through the flight and there will be a lot more record breaking times as this journey continues. But, though these are important milestones for the project, the goal of Solar Impulse is not to set records but to spread the message that clean technologies can change the world. 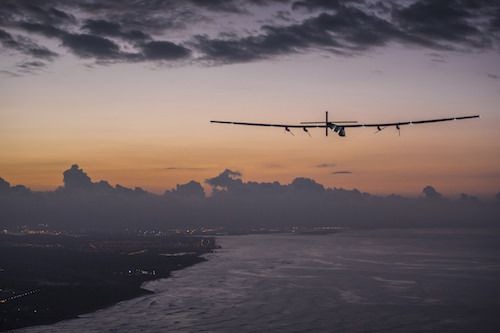 The aircraft is currently holding over the Pacific ocean, waiting for the sun to rise again in order to charge its batteries and climb in altitude to cross a weather front. André is now awake, in an excited mood, and less tired than the morning before. 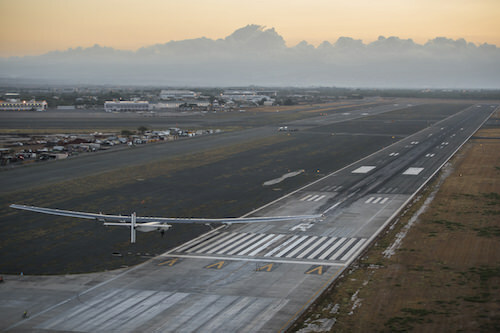 He will soon begin his ascent to 28,000ft once again, and his arrival in Hawaii is estimated in about 40 hours. 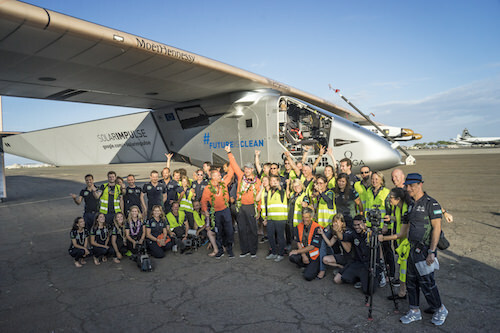 After over 5,000km of flight, he has just discovered the surprise notebook the Solar Impulse team had hidden in the cockpit. They all wrote him a message to encourage him in the air. After 4 days of non-stop solar flight, André Borschberg has broken Steve Fossett's 2006 record of the longest solo endurance flight. 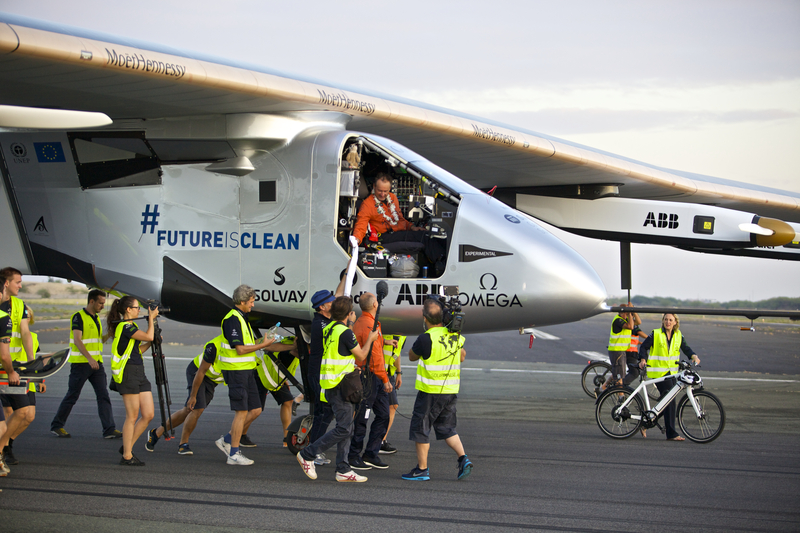 It has been the longest and most tiring night of his flight, but André is quite happy so far, especially concerning the reliability and endurance of the clean technologies of the airplane. 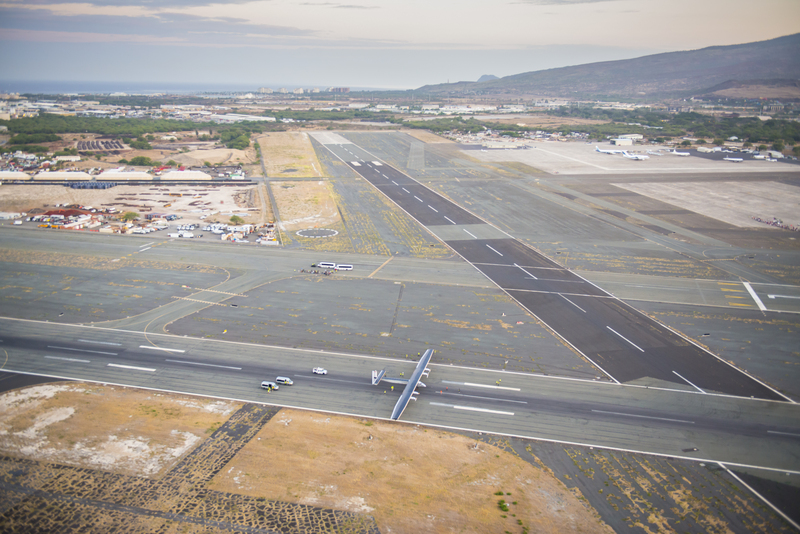 The first possible estimate time of arrival in Hawaii is in 28 hours. 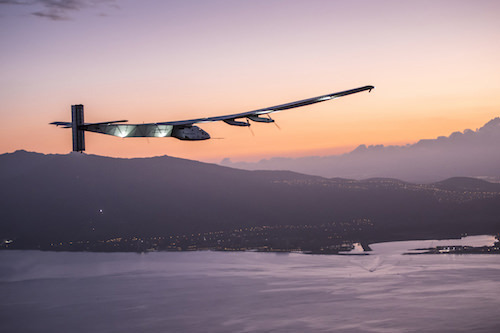 After 12 years of hard work, André Borschberg, together with his partner Bertrand Piccard, has proved that it’s possible to fly perpetually, relying only on the sun’s energy and on clean technologies. 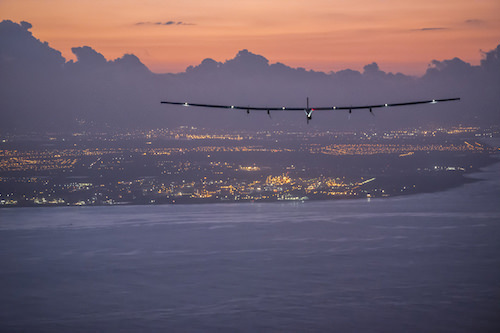 And if a solar airplane can fly for days and nights without a drop of fuel, then the technologies inside it can be used on the ground to reduce our energy consumption. All we need now is political courage! The MCC was battling to give me the possibility to rest and recover, but also maximizing the aircraft’s energy levels and sending me trajectories and flight strategies simulated by computer. This flight successfully validates the vision that my partner Bertrand Piccard had after his round-the-world balloon flight to reach unlimited endurance in an airplane without fuel." 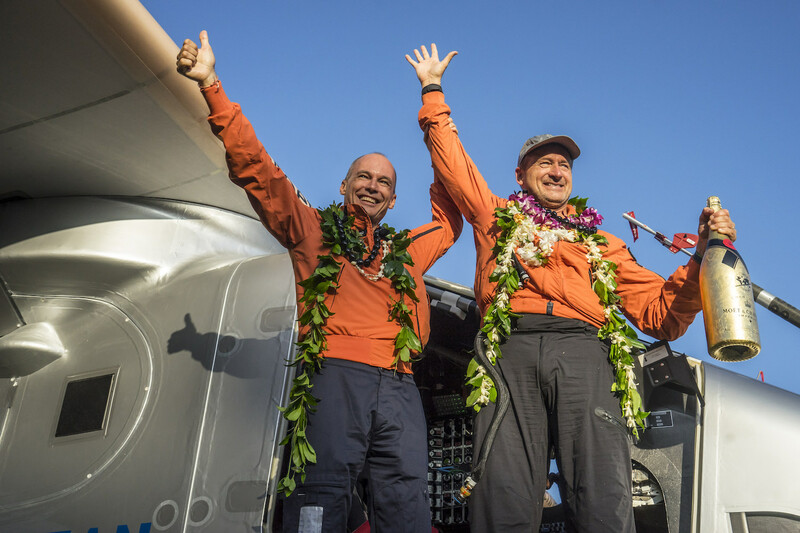 A little more than a year later, it’s another historical moment that André and Bertrand accomplish: the first ever round-the-world solar flight. After having travelled over 40,000 km without a drop of fuel, Solar Impulse 2 finally lands in Abu Dhabi, thus proving that clean technologies can achieve what many believed impossible. The challenge now will be to take this success further, and André will try to do so through the development of solar drones. The end of the Solar Impulse adventure is only the beginning of the fight to improve our quality of life and preserve our planet.